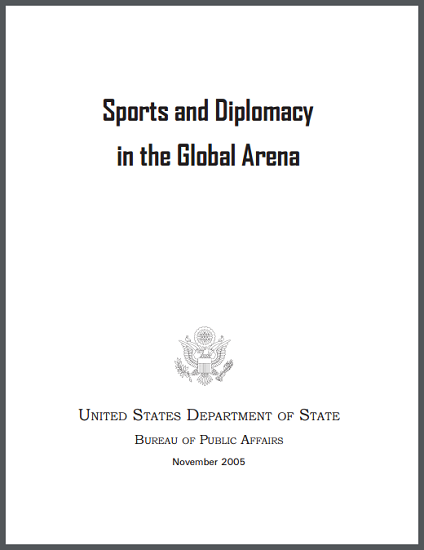 Sports and Diplomacy in the Global Arena is an instructional package that explores the relationship between sports and diplomacy throughout history. The video begins with the creation of the Olympics in ancient Greece and continues through the present day. This package also includes the video script, a timeline, glossary, lessons and extension activities, website links, and other support materials. Lessons focus on history, civics, geography, economics, and culture and support the thematic curriculum strands of Expectations of Excellence: Curriculum Standards for Social Studies of the National Council for the Social Studies. Lessons and support materials were also designed to promote the literacy emphasis of No Child Left Behind by including oral, written, and visual communication activities. These instructional materials were designed to provide a high degree of flexibility for classroom teachers. The video can be viewed in its entirety or in segments and used to stimulate class-room discussion, as an introduction to a series of lessons on the topic, or to supplement existing lessons. The video and print materials may constitute a complete instructional unit, or individual elements may be incorporated into existing units. The lessons and materials support U.S. history, government, political science, economics, international relations, and modern world history courses. Teachers are encouraged to enhance the content of this package with other instructional materials and information sources, such as textbooks, newspapers, television, and the internet. Suggestions for using additional resources are included with a number of the lessons. Teachers are encouraged to modify suggested lessons and other materials in ways that are appropriate for their students, courses, and other local circumstances. 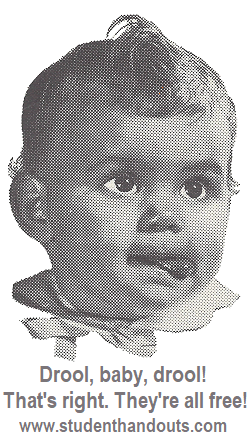 Print materials in the package are provided in black-on-white format. They may be easily reproduced by photo copying, or scanned into computer files to enable teachers to customize materials for their own classrooms. Some websites in the list of resources may have copyright restrictions, and teachers are advised to review and abide by those restrictions. All print materials in this package produced by the U.S. Department of State may be reproduced and disseminated without specific permission. Click here to print or download the PDF (90 pages). Click here for the United States Department of State source for this learning module.